wow that's great!hoiw did you photograph a chicken like that? Cool capture and great lighting. What an impressive portrait of a rooster!! What a stunning portrait -- the rooster looks regal! Great against the black. I recognised this as soon as I saw it....love this chicken on black! Fave. Beautiful and even better on black. Well done.. the black background is perfect with the lighting. Saw this on the PP, so well done in so many ways. Lovely. Great title for this fabulous image. Congratulations on your Top Twenty finish Jennifer! Well Done! Oh, Jennifer! 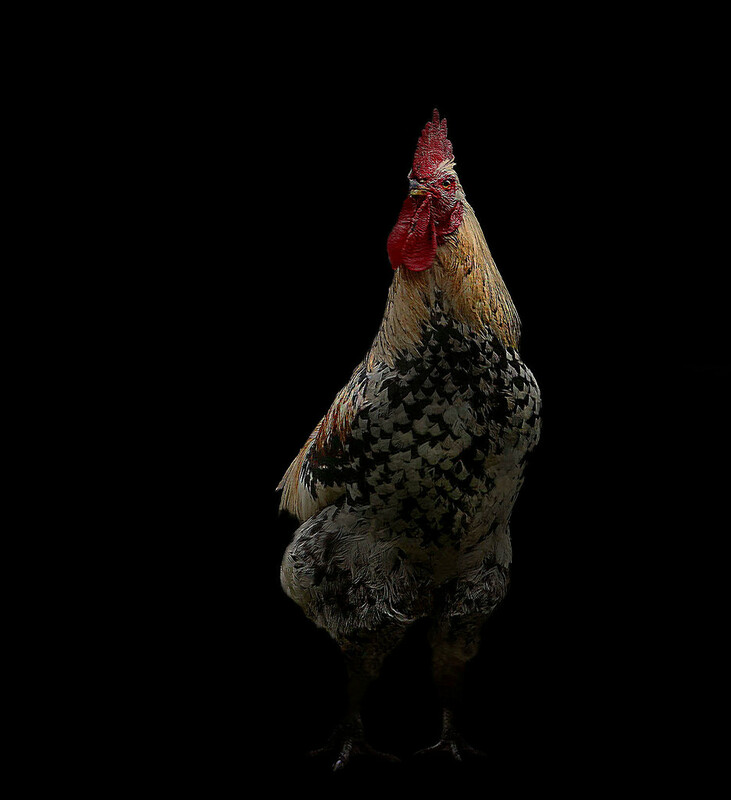 What a great chicken portrait!